Here's a sample chopper design from my portfolio. 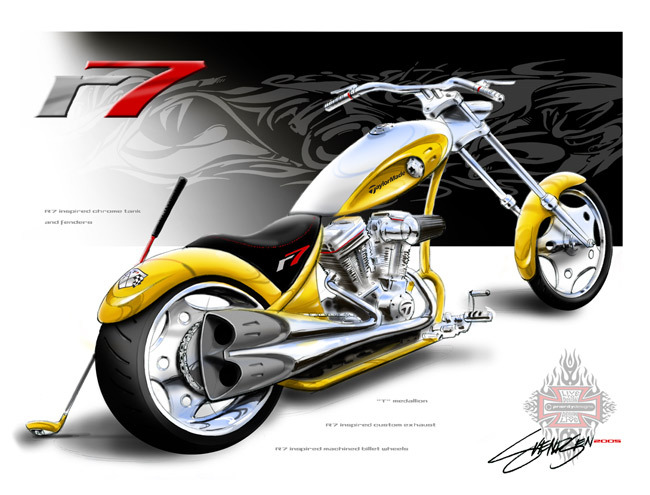 This concept sketch of a "theme" chopper design was done for a "major golf equipment manufacturer" as a promotional idea for the launch of one of their new products. For the concept I incorporated a wild custom exhaust, a tank design, custom wheels and color scheme inspired by the styling on their golf club.